Read about PSE Students in Action! 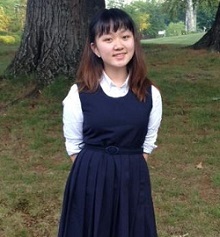 PSE student and AP Drawing junior Shuyao Zhang has enjoyed creating art since she was a child. 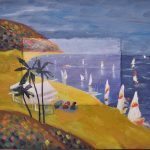 Her years of practice and passion for art will be recognized in March, when her oil painting entitled “Outside the Frame” will be displayed at the Portland Museum of Art. Shuyao’s painting will be displayed as part of the Youth Art Month exhibition, which will run from February 28th – April 1st. 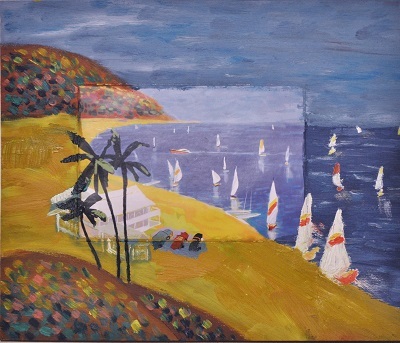 The museum has been hosting the exhibition, which promotes the value of art education in schools and importance of supporting quality art programs, for 18 years. Youth Art Month has been nationally observed since 1961. Shuyao’s favorite artist is Van Gogh. She and the other 100 students from elementary through high school across the state of Maine whose artwork will be on display for Youth Art Month will receive a certificate of recognition. An opening reception, free to the public and including refreshments, will be held at the museum on March 10th from 4:00 – 7:30pm. Be sure to stop by and show your support for this talented young lady! 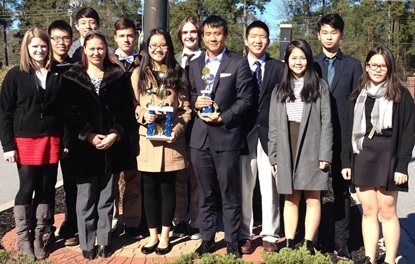 Right outside of Charleston, South Carolina lies a competitive private high school with rigorous academic standards. 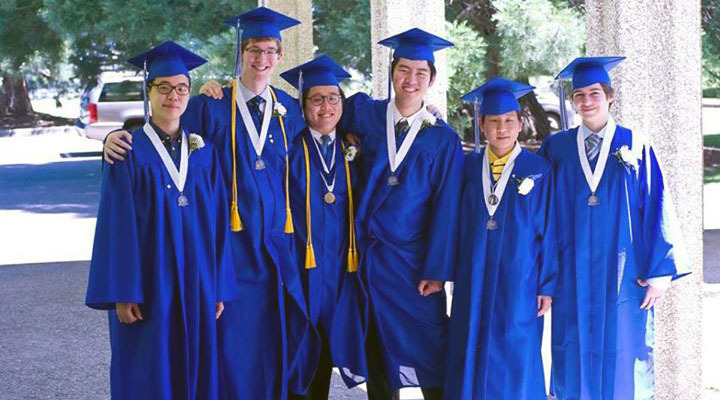 The outcome of long hours of studying and great self-discipline is well-represented in the members of the school’s Math Team. Jaehun Shim, a PSE student from South Korea, practices with his Math Team twice a week. 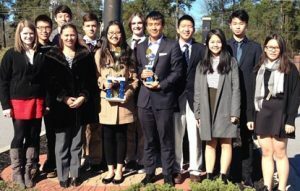 Their hard work and dedication paid off on January 12th when the team placed second in a state level competition held at the Sumter Civic Center. What does it take to compete at the state level in a math competition? “Hard work, not giving up and challenging myself every moment in Math Club is what I tried to do,” says Jaehun. The competition involved two rounds: the first, in which each student took a 50 question multiple choice test; and the second, in which students competed in a five minute speed round. The scores were tallied at the end of the two rounds. Jaehun has participated in many math competitions and appreciates his team members. “Math Team is a thrilling experience. All of the members on my team are intelligent, kind and hard-working. It is an honor to be a part of it!” he exclaims. He has always enjoyed playing with shapes and figures, which he claims has made it easier for him to understand math. Geometry is his favorite. Jaehun hopes to study psychology and law in the future and would like to pursue a career as a corporate lawyer. Hayun Chung has high goals and aspirations. 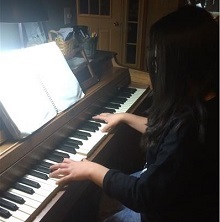 In her future, she plans to attend the Eastman School of Music in New York and major in Film Composition. In order to prepare for college, she is currently taking a Film Scoring class and piano lessons at Eastman. At her high school in Rochester, New York, she is also part of a concert band, jazz band and performed percussion for her school’s musical this past fall. Hayun’s love of composing has resulted in the great honor of her high school band performing one of her original compositions. A YouTube channel has been set up to share her music, including this original piece which can be accessed at: https://www.youtube.com/watch?v=0q2AwuIkbuE. “She really is very sweet and so talented,” says Glori Lovall, Hayun’s PSE Local Coordinator. This young talent has a bright future ahead of her and we look forward to hearing her music set to films one day on the big screen. 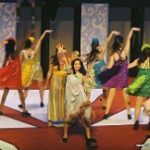 Fall is the time that many high schools across the nation put on grand musicals and stage shows. 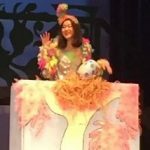 A high school in upstate New York joined in the fun presenting Seusical The Musical and PSE student Heesu Yu from South Korea starred as a leading role in the show. The famous Dr. Seuss character, Horton the Elephant, embarks on a journey to s ave the mayor’s son. Along his adventure he travels through Whoville, the Jungle of Nool, and runs into all sorts of kooky characters. The infamous Cat in the Hat narrates the story. 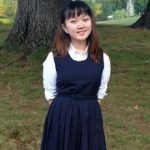 During Heesu’s three years attending an American high school, she has participated in choir, tennis, yearbook, women’s leadership and French Club. Heesu is a veteran of the theater world, having performed in Fiddler on the Roof in Spring 2015.